Hey there, friend, and happy Friday! Yesterday I tried something new and filmed my first college vlog (video-blog). 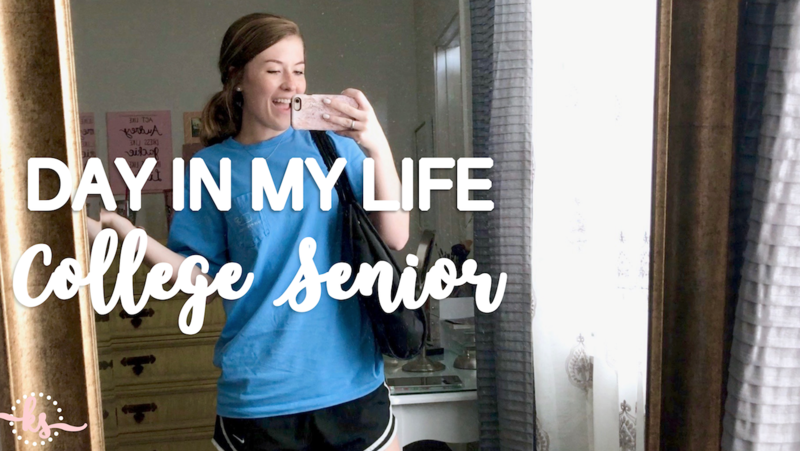 My sweet friend Hayden encouraged me to try to film a ‘Day in My Life: College Senior’, so I gave it a go. This was something wayyy out of my introverted-comfort-zone, and vlogging is way harder than it looks! But, I’m so glad she encouraged me to try this and I think it turned out pretty cute. I filmed my day to just practice and see what would happen, but I wasn’t sure if I’d actually post it. I had so many of my friends and you lovely beautiful readers encourage me to post it because why not, and I’m glad I did! It was fun to try something new and it’s meant a lot to me to hear that you all enjoyed watching. I appreciate you! I wanted to post the video here as well for those who just follow my blog. Have a lovely lovely weekend! What did you think of my first college vlog? Should I do this more often? Also, be sure to follow me on Instagram so you can see my future polls (for video/post ideas) and fun content like the Wednesday Wins (for celebrating each other’s wins, big and small) I shared this week!